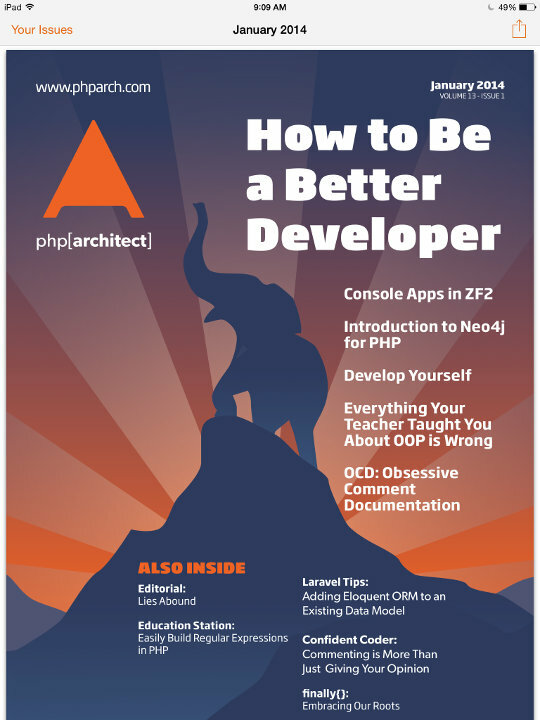 Reading php[architect] magazine on your iPad or iPhone is now a whole lot easier! We are excited to announce the launch of our first iOS app, in conjunction with the awesome developers at PintLabs. Log in with your phparch.com credentials. Select an issue to read from the list presented. Whether you’re a subscriber or you purchase a single issue, with one touch, you can begin downloading any issue you’ve received. The app caches the issues offline for reading whenever you want. If you prefer, you can easily transfer an issues into iBooks. 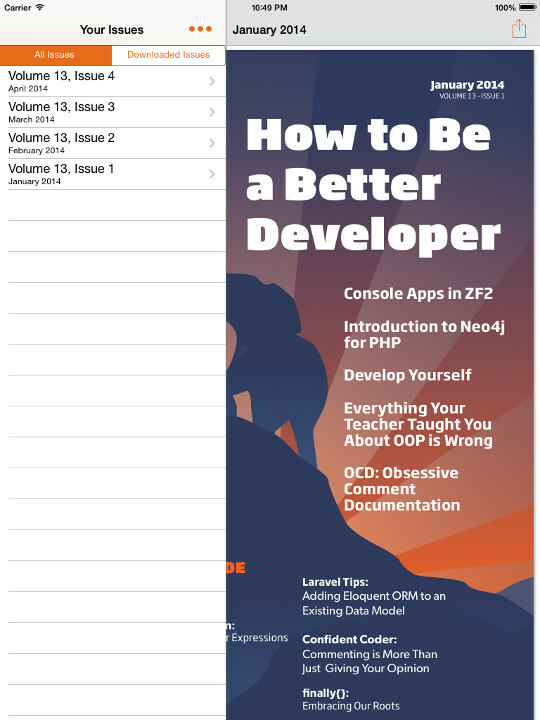 Download the php[architect] iOS app from the App Store. Great book for starter. Thank Oscar ! The link Eli shared worked for me on my iphone. If you’re on a Windows PC, you may need to have iTunes installed. It should “just work” on OS X.